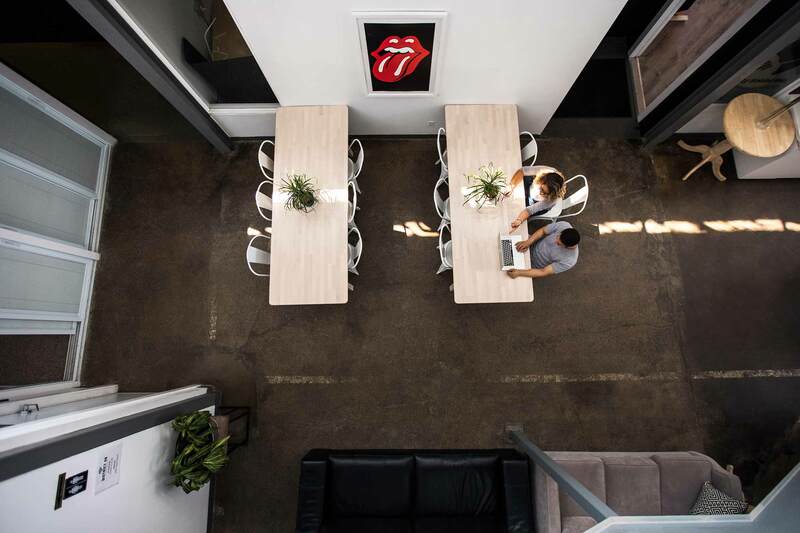 Leslieville's District 28 WorkSpaces is a coworking facility that has revolutionized the office rental atmosphere providing entrepreneurs, freelancers and businesses a cowork space that offers, shared workspaces, private offices and hot desks. Our basic package makes for a great place to develop ideas. This package includes access to our common areas, internet access, and unlimited coffee. The perfect choice for those on the move who need a productive pitstop on their entrepreneurial grind. Our Hot Desk plan offers 10 days at a dedicated desk. The perfect choice for entrepreneurs looking for all the benefits of a private office without the price tag. 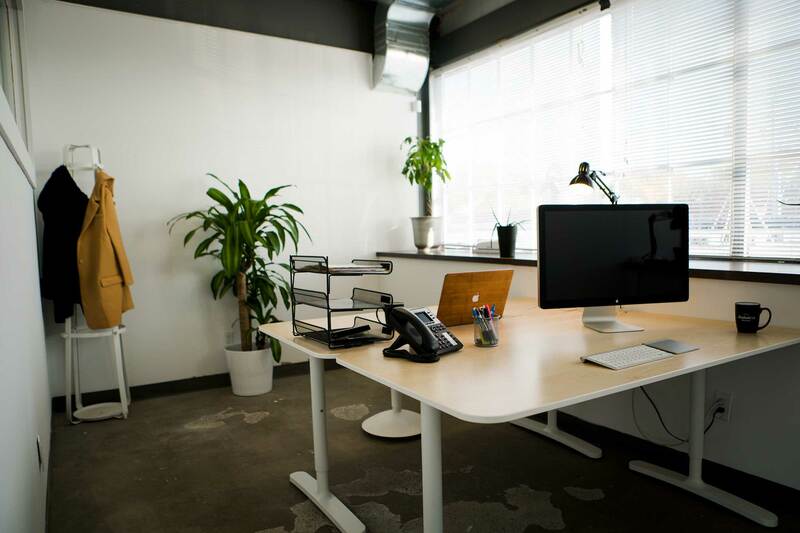 Our Dedicated Desk plan provides you with a reserved desk in one of our cowork spaces for you to make your own, feel free to bring your favourite money tree, three monitor set up, photo of your dog or whatever else you need to power through your workday. 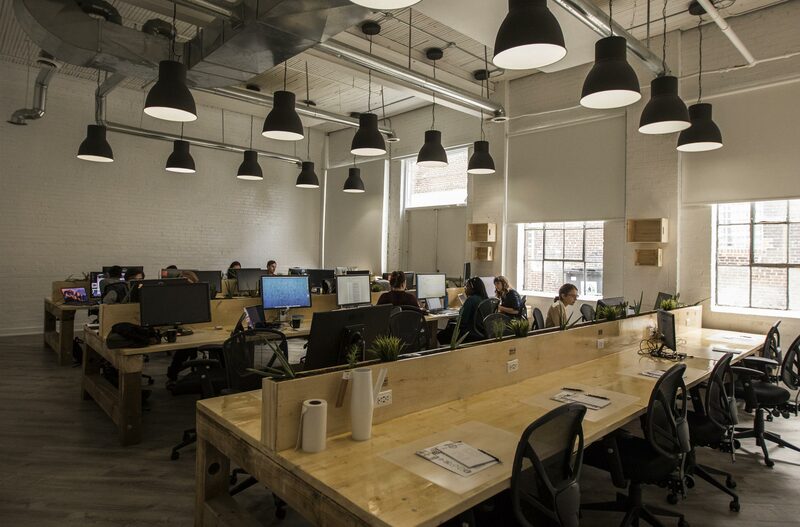 The perfect spot for teams of up to 10 who are for looking all the benefits of a community workspace but with the added benefit of your own private office to work from. District 28 on Logan includes a more traditional communal work space, but you're also next to their beautiful event spaces, bar, bistro and coffee shop. It's like a little village that knows how to get things done. They also have a screening room and editing suites. Our experience with D28 is a great little journey. We joined the shared workspace just under a year ago, stumbling upon the coffee shop one day, using the free Wi-Fi to do some work...The food and coffee was good and the cool atmosphere inspired us to work a little more local, eliminating a tedious daily commute. We rented a few desks and settled in. We were initially unsure as to whether our industry was "cool" enough for D28, automotive financing isn't exactly the most creative industry but the bright open spaces and smiling faces made us feel welcome straight off the bat. We found diversity in everyone we met and enjoy the friendly collective atmosphere. 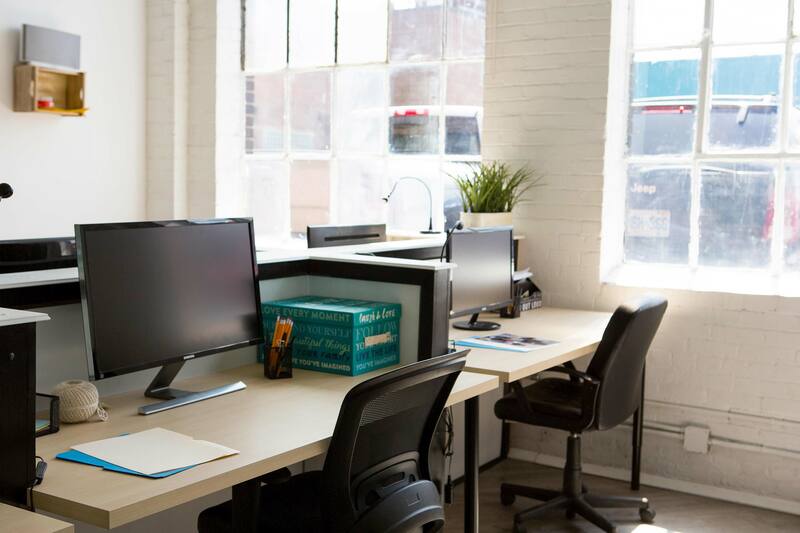 The environment promotes a larger collective industry for a company like ours and stimulates what we feel is a healthier work environment compared to the old corporate structures we'd all gotten used to. We think shared work-spaces and flexible term rentals are the future for small businesses looking to engage in a bigger business community and look forward to a bright future alongside D28. Hopefully this will get me a free coffee! Wait!!! Coffee is free here! I had tried a few co-working spaces in Toronto and none of them impressed me. District 28 is by far the best co-working in Toronto. The space is wonderful, airy, well designed full of interesting and hard-working entrepreneurs. Great Office services, awesome Wifi, helpful staff and a full service cafe and bistro integrated into the space have made working here an absolute pleasure. I can host clients in the boardroom, take calls in the phone room's, collaborate in the office space or dig in at my desk on my laptop to get work done, I love working here. One of their advantages is that they do not require long rental agreements for clients, providing the freedom to structure your own month to month rental term. The space offers a number of free amenities for members like printing, high speed wifi, 24/7 access and free coffee and tea from their onsite bistro. What really separates District 28 from others is their readily available features for creatives such as exclusive hourly rates for onsite studio space and a screening room.